Being an entrepreneur means wearing lots of hats. Without a broad range of fundamental skills, you won’t get very far. I was lucky enough to learn the basics of Adobe Photoshop very early on (So early that computers were still black and white. Dead serious). Despite the fact that that I originally learned Photoshop nearly 20 years ago, I still only know the basics, but knowing the basics profoundly helped me along my journey. In fact, if I had to guess, I’d say that if I had to hire a designer for every project I created in Adobe Photoshop in the last 10 years, it likely would have added up to hundreds of thousands of dollars. I literally use Photoshop every day. Of course, had I not learned Photoshop, I likely wouldn’t have hired a designer, the truth is, most projects just wouldn’t have happened. That’s why it’s important to have a wide variety of skills as an entrepreneur, especially when you’re first starting out and have limited funds: because hiring people to do every little task is not only expensive, it’s frustrating and it’s time-consuming. Of course, this doesn’t just apply to Photoshop and image editing, it applies to everything – photography, videography, video editing, copywriting, web development, accounting, SEO, paid advertising… The list goes on. One of the best things you can do for yourself as an entrepreneur is to continually grow your skill set. The good news is that this is actually insanely easy to do these days. The costs of learning new skills is nominal. You just need to actually want to learn and make the time to learn. 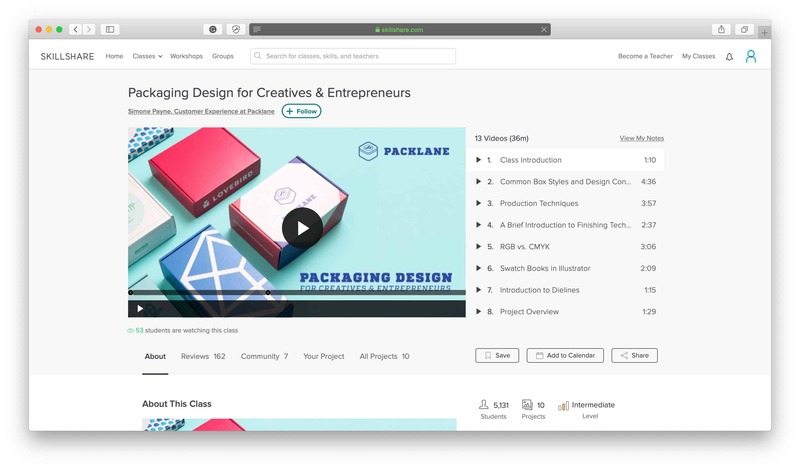 Skillshare is a marketplace of online video courses created by industry professionals that can help teach you skills. With over 10,000 courses, there’s really no shortage of options and new skills for you to learn. I picked through Skillshare to highlight 40+ courses that can help you on your entrepreneurial journey. 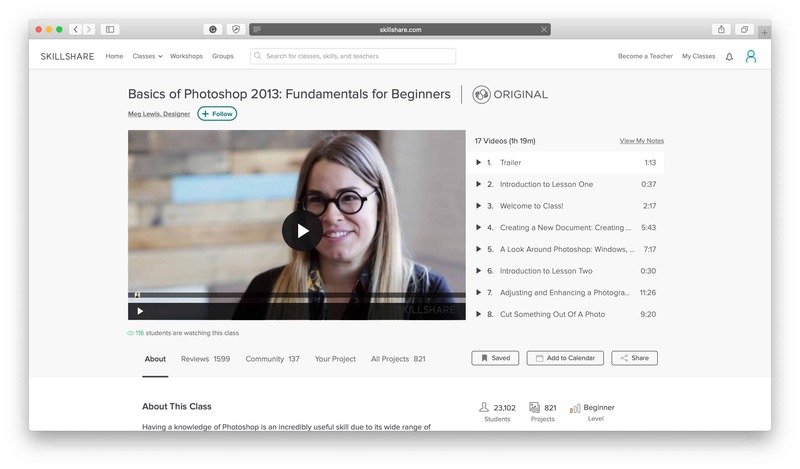 BONUS: Get one free month of unlimited Skillshare classes courtesy of A Better Lemonade Stand. Click here to sign up and claim your free month. Do you need help defining your brand? Are you unsure of who your target market is, what your mission statement should be or what kind of logo would best represent your brand? This class is targeted at skilled professionals who are talented in creative fields but are unsure of where to start when it comes to branding their business. In this class learn how to develop cohesive product lines as well as business and merchandising essentials for independent makers. Perfect for creative businesses or those with ideas of products they want to create, this class will teach you the questions you need to be asking, how to share your brand story and how to grow your brand through plateaus. This class teaches emerging entrepreneurs how everything from mission statements, corporate culture, social presence, and email support has an impact on customer experience and should be defined by your brand strategy. Learn how to design and implement a strategy based on the six pillars (vision, mission, values, positioning, voice & tone, and look & feel) that will ultimately define your brand and set you apart. Watch this class as an imaginary client is led through the process of developing their brand from start to finish. This class shows branding from the point of view of a designer and how to work with mockups, present a brand board and create logos for a client without compromising the individual designer’s style. Learn how to create a brand identity that can be recognizable across various mediums whether it be animation, architecture, signage or products. You’ll learn the process of developing design solutions, simplifying those solutions and then applying them so you can create a dynamic branding system that works for you. The importance of color, typography, pattern, illustration, and placement are taught in this comprehensive class designed to lead you through the process of understanding how brand identity is conveyed through visual cues. Learn the basics, what apps to use, how to decide color and type, what format is best for customer presentation and create a logo of your own with the tips you’ve learned! Be inspired by this class to follow any dreams you may have of starting your own business as you’re guided through the process of starting a product-based brand. This class is for those who have ideas and inspiration for a product and a brand but just don’t know where to start. An introduction to using Photoshop for beginners. Get to know the layout, text, layers, tools, short keys, color correction, solids, advanced tools, and some useful tips and tricks! 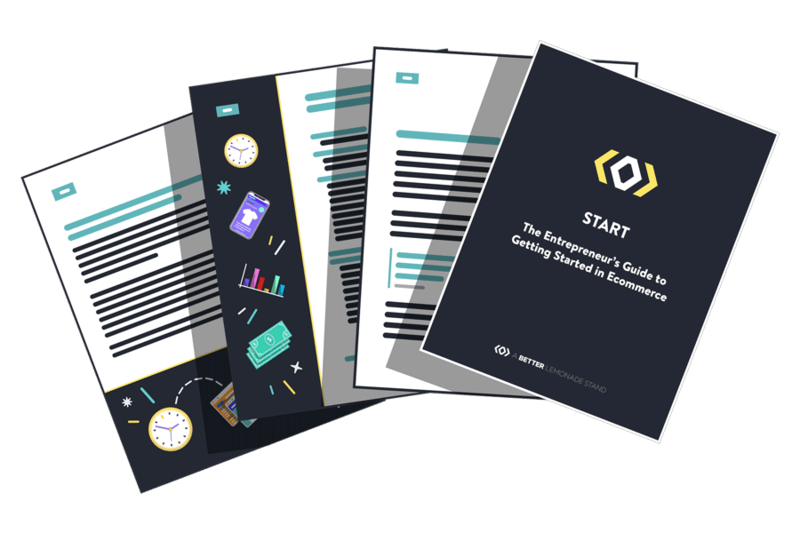 This is perfect for emerging entrepreneurs looking to save time and money on simple graphic designs they could be making themselves. This class is for those interested in Photoshop for graphic design, web design, photo editing, digital illustration, and collage but are at a complete beginner level. Learn how to set up a Photoshop canvas, edit images, add typography, control color and create compositions. The goal of this video is to help Photoshop novices get comfortable using the tools that are applicable to their business or creative needs. For Photoshop beginners who feel overwhelmed with the program and feel like it will be too difficult or time-consuming to learn on their own. This class demonstrates how to approach Photoshop without being intimidated by its capabilities. Perfect for social media and website imagery this class teaches you how to select, prepare, position and blend photos together as a collage. At an intermediate level, this set of videos will put your basic Photoshop know-how to the test and keep you practicing. As a more advanced class, this is for those who are already comfortable with Photoshop and are looking to refine their skills. You’ll be taught how to do what the professionals do such as removing acne, smoothing skin, brightening eyes, shrinking noses, contouring the faces, and digitally applying eyelashes. A beginner’s guide to learning Illustrator, this class is useful for those who want to create their own logos and graphics. Be your own graphic designer and save time and money with this short course that will have you up and running in no time. Refine your skills with Illustrator and learn how to use Transparency Masks, Clipping Masks and Layer Clipping Masks to crop shapes, texts, and images and to blend them. This class is ideal for individuals who have completed a beginner’s level Illustrator course and are looking to practice and learn new skills. Learn the logo design process from a seasoned logo-making veteran and refine your Illustrator skills through geometric structure, typography and color choice. This class will teach you the benefits and techniques for turning simple designs into compelling logos and is perfect for designers and creators of all sorts. The importance of a brand’s logo should not be understated and this course will teach you how to maximize communication with minimal information. Simple shapes and concepts are your friends and this course will teach new and advanced creators how to develop a visually impactful logo to represent your brand. 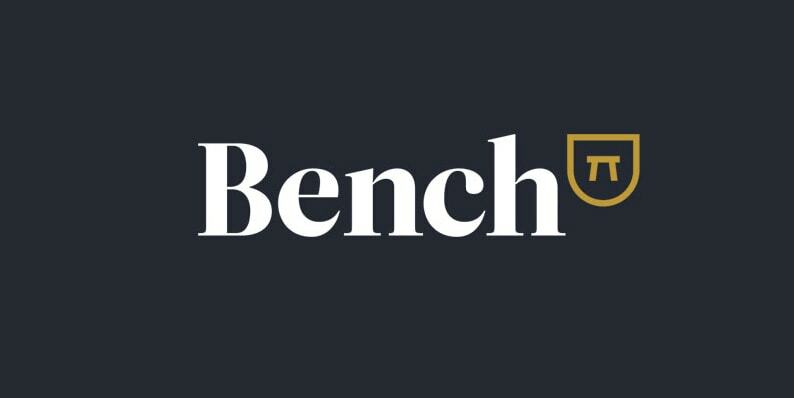 Specifically learn how to design your brand name by understanding your market, crafting balanced letterforms, developing advanced ligatures, and working with symmetry. Whether you’re a beginner looking to learn new skills or a master wanting to try new tricks, this class is perfect for developing a recognizable type-based logo to represent your brand. This class is for those already comfortable using Illustrator and want to refine their technique in areas such as shadows, inlines, beveled letterforms, altering baselines and textures. In addition to creating a new typeface from an existing one, you’ll learn how to select and pair your logotype with a secondary typeface to create a cohesive look. Intended for web developers and designers this class is for individuals with previous Shopify experience who are looking to take their skills to the next level. You’ll learn through practice, by revamping a Collections page and focusing on using features such as Ajax functionality, advanced filtering and sorting, custom styling and fixing any performance issues. User-friendly graphic design program Canva is for those who consider themselves to be a non-designer. This course will have you using layout, text, and shape to create beautiful designs without having to learn the ins and outs of Photoshop. Perfect for the social media blogger just starting out, Canva is an easy to use interface with ready-to-use templates and formats to make social images a breeze to create. For designers, illustrators, animators and anyone else who uses type in their work, this class teaches the importance of communicating the right message through type. Learn how to choose the right typeface for your design work and how words can have different meanings just because of the typeface you read them in. In this class you’ll be guided through the process of designing, illustrating and setting up stickers for print. Stickers are a useful tool for branding your packaging and making it a recognizable part of your brand’s unboxing experience so don’t underestimate the power a well-designed sticker can have on a plain mailing box. Since the unboxing experience is a pretty important part of developing and maintaining a relationship between your brand and your customers, how you package your items has a large part to play in the process. This class will teach you about box style selection, production techniques, and materials, how to set up your print-ready design in Illustrator, and tools to help you visualize the final product. Take advantage of short-run printing technology and new design tools and let this class teach you how to bring your packaging designs to life. Learn how to edit photos in this easy-to-follow class to make images for your brand quickly and simply. Use PicMonkey to help build your online brand whether you need to resize images for social media accounts, retouch products for the perfect look or add a distinctive watermark so your brand gets noticed. Ideal for bloggers, small business owners, marketers and freelancers who want an easy way to effectively create stand-out photos for their brand. Are you a new or emerging brand looking to up your marketing game? Videography is a great way to both showcase your product and tell your brand story but the tools aren’t always affordable or accessible. Have no fear, this class will teach you how to create professional videography with just your iPhone! Learn what apps to use, what kind of shots to capture, tools to enhance the capability of your iPhone, how to apply filters, transitions and music, and of course, how to share it with your audience. 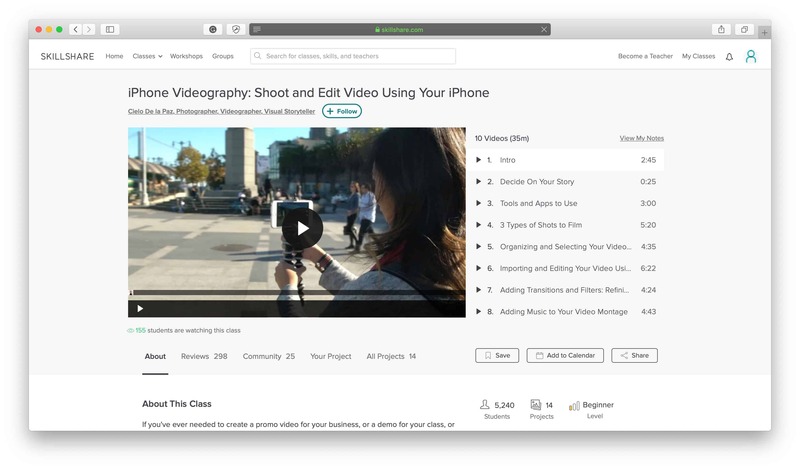 This class is perfect for any level of videographer, all you need is an iPhone 5s and up! Show off your brand with these helpful tips to create a short marketing video if you’re looking to strengthen your online presence. Learn how to stylize, shoot, edit and share your video with your audience to promote new product launches, feature campaigns or create content for your viewers. This class teaches the technical aspects of filming with an iPhone or DSLR and goes over the technical aspects of the camera, how to look for lighting and capturing the perfect shot. This class will lead you through the process of creating a cohesive theme that meshes with the overall look and feel you want your brand to have. Learn how to capture and edit images in a way where as a group they tell a consistent story. Use this class to create an inviting Instagram feed or to create a specific aesthetic for your website, there’s plenty of uses for images as a brand and this class will show you how to take great ones. Have you used Youtube as a marketing channel for your brand? if you haven’t, the process is easier than it seems and this class shows you exactly what you need to know. Perfect for beginners you’ll learn how to post a video, choose a title, write descriptions, choose tags, create a thumbnail, use annotations and cards, make playlists, design your channel, produce a trailer and brand your videos. 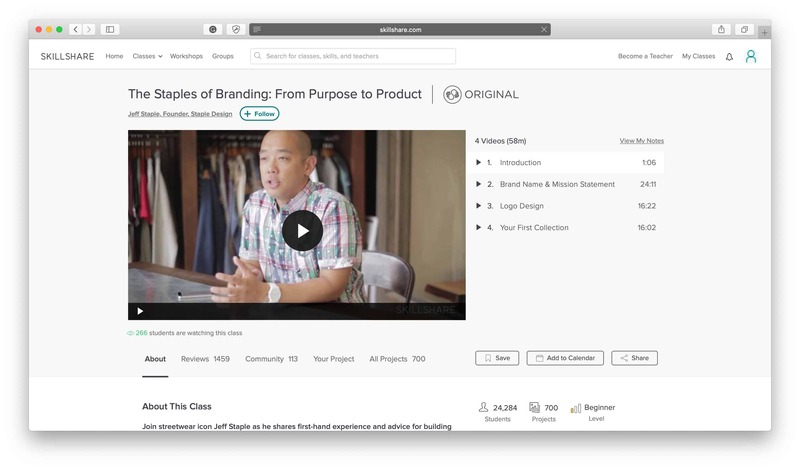 Use this class to jumpstart your brand’s Youtube presence so you can reach new customers and provide value to existing ones. SEO can be a daunting task for beginning entrepreneurs. This class teaches you the insights and tactics so you can optimize your content and organically raise the online presence of your brand. Learn how to build an SEO strategy, optimize content and even perform an audit on a website! For anyone who doesn’t know where to start with SEO, this class breaks it down to the beginner level so everyone can do effective SEO for their brand. Now that your brand’s Facebook posts are reaching fewer and fewer followers this makes organic traffic harder than ever to come by. Facebook marketing is a step in the right direction and this class teaches you how to do it right in 2016. Make the most of your marketing budget and learn how to get more website visitors, increase your reach and conversions, and boost follower engagement. Learn how to create an email marketing strategy that meets your business goals. This class is for every entrepreneur who wants to learn more about how email marketing works: what to say, how to say it and how often to say it. Whether you’re unsure if email marketing is right for your brand or if you’re looking to update your existing approach, the tips from this video will help you strategize the perfect email marketing tactics that are right for your brand. Delve further into email marketing and learn more about what makes the perfect email. Learn the difference between web design and email design, what to consider when designing and developing emails and the best design practices for the four most common emails. This class will help further your knowledge and strengthen your email marketing strategy but leaves room for you to input your own personal branding touch. The emails you send to your subscribers speak on behalf of your brand so make sure what you’re saying is an accurate representation of how you want your brand to be seen. 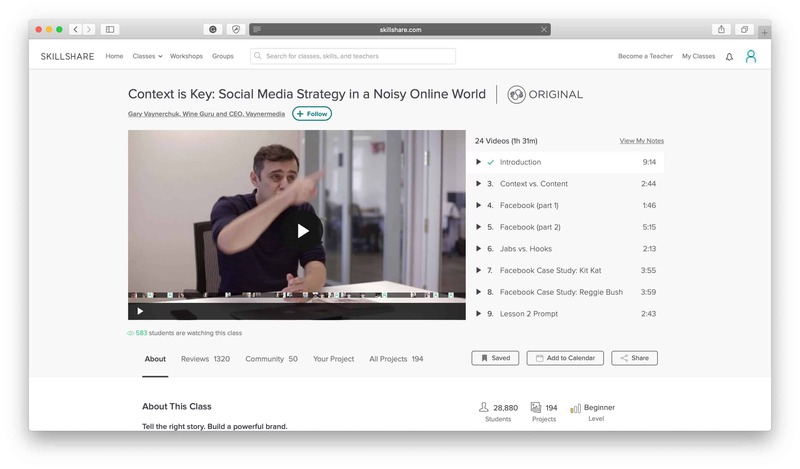 This class instructs you on the best practices for writing online, how to optimize the written elements of an email, content ideas, and editing tips before you send. Make sure your marketing emails are working for your brand, not against it, and make use of these tips to help your subscribers get the most out of the emails they receive. So you’ve designed the email, you’re sending the right content that reflects your brand and… Now what? Now would be a good time to take this class and learn how to approach email metrics provided by your email service provider (ESP). Even if you’re just starting your email list, looking to grow it or improve on it, this class teaches you the metrics to consider, key metrics by email type and ways to test and optimize campaigns. Even if you don’t consider yourself to be good with numbers, this class is designed for you to be able to make sense of them and understand what they actually mean for your business. Want to learn how to make money online? This class shows you how having a series of steps known as a sales funnel guides a website visitor along and turns them into a customer. Through the lessons in the class, you’ll learn how to build an online business and how it’s the experience that turns people into customers and not always just the product. 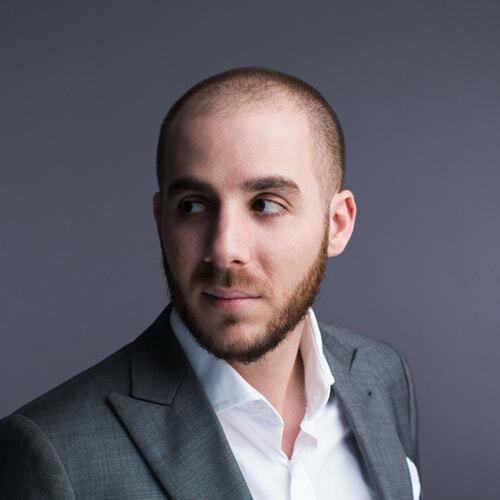 You’ll learn ideas of what kind of sales funnels you can integrate into your business and how to operate these channels in an efficient way for you. There’s more than may meet the eye when building a strong presence on Instagram and this class will let you in on all the tricks of the trade to building your brand on Instagram. As it’s one of the most widely used, accessible and affordable platforms that brands can reach their target market on, it’s a fool-proof place where you can build a community around your brand and engage with your consumers. Learn how your profile picture, bio, and theme can influence your community and how cross-posting to outside platforms has its benefits for your brand. This is the class for learning how to tell your brand story the right way. Learn how to strategize your brand story so it’s told effectively on different social media platforms. This class will teach you how to customize your content, balance the relationship with your customers and will show you case studies to learn from real examples. A great class for beginners just developing the brand story or for businesses looking to re-brand, this course will help you evaluate whether you’re telling the right story in the right context. For the emerging fashion design entrepreneur, this class will show you how to conceptualize, design, and manufacture a shirt that can be the foundation of your brand. If you’re looking to get your feet wet with apparel manufacturing this class breaks it down and guides you right from beginning to end. 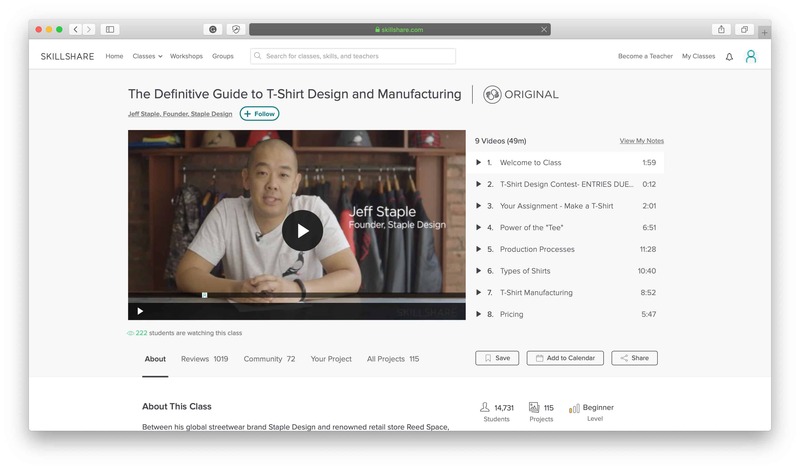 This class is the one that shows you how to make your brand story known so you can differentiate your t-shirt from the competition. Any way in which you could possibly translate your brand story including tags, stickers, labels, and packaging gives your customers an insight into your vision and are covered in this class. 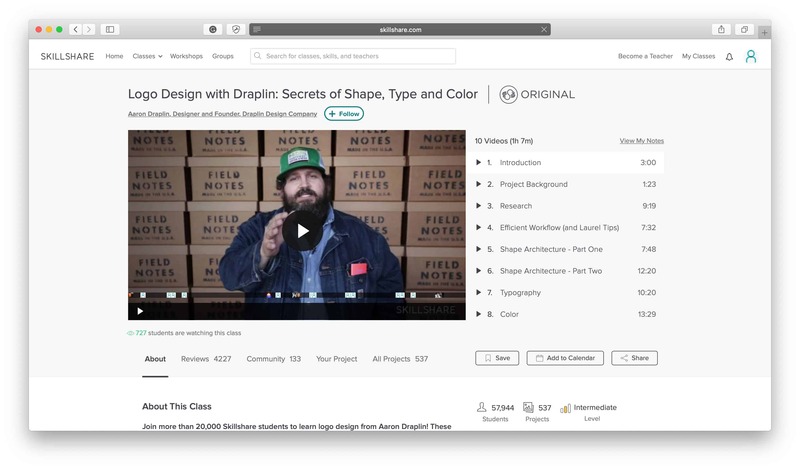 The devil’s in the details and for any emerging designers and entrepreneurs, this class lets you know what details to pay attention to. No matter what your product idea is you need a way to get it made and get it sold. So many businesses don’t last because they can’t do one or either of those things. This class is perfect for any product based business who want to make and sell their product (that should be all of you then). You’ll be given an introduction to sales and sourcing, learn how to build sales collateral, and be given insight into the relationship between sales and sourcing.